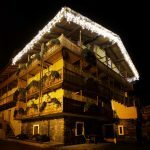 The Vieilles Maisons holiday apartments are located in a strategic position to explore Valle d’Aosta. 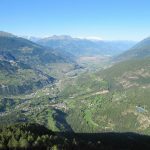 Introd is located at the gates of the Gran Paradiso National Park and is just a few minutes’ drive from both Aosta and Courmayeur and Mont Blanc. In the valleys of the Gran Paradiso: cross-country skiing, downhill skiing, ski mountaineering, snowboarding, snowshoeing and ice climbing. Introd is 15 km away. from Aosta, at the entrance to the Valley of Rhêmes and Valsavarenche (distance to Rhemes Notre Dame 16 km and to Valsavarenche 15 km. 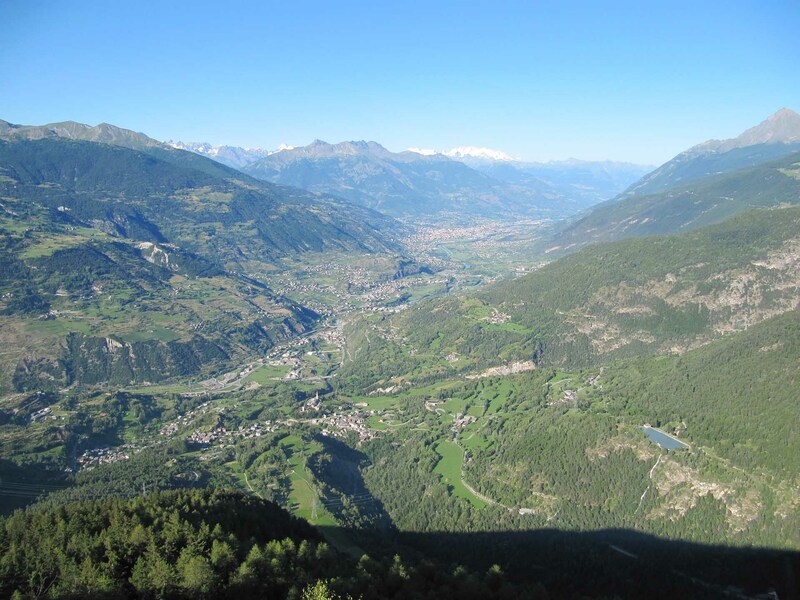 ), two of the three Valle d’Aosta valleys that are part of the Gran Paradiso National Park, at an altitude of 880 meters . It owes its name “Interaquas”, Entre Eaux in French, to its location between the Dora of Rhêmes and the Savara stream. 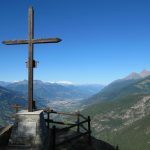 Its location at the foot of the Gran Paradiso National Park means that, in the summer season, Introd introduces a network of trails for trekking or mountain biking. In the winter period, Introd offers itineraries for walks with “snowshoes” and is in a central position with respect to the main Alpine and Nordic ski resorts of Valle d’Aosta. 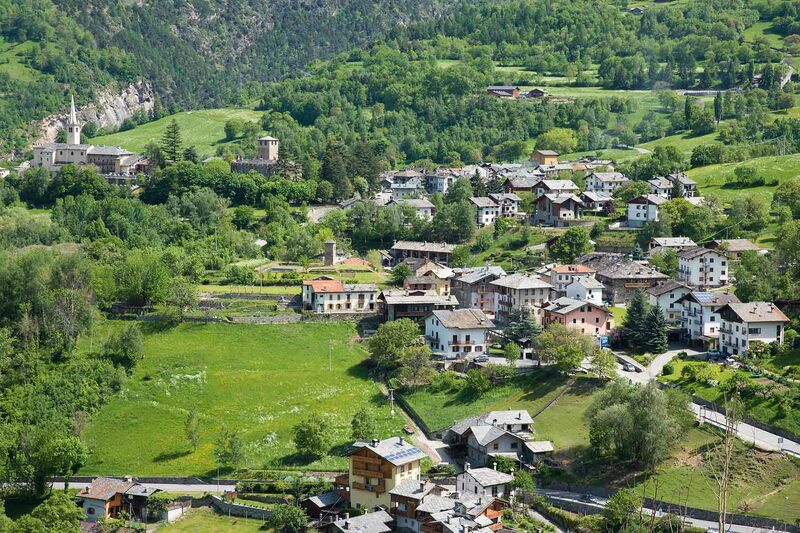 The inhabitants of Introd still today, next to French and Italian (the two official languages ​​of the Valle d’Aosta) use the patois, Franco-Provençal dialect common to the three Alpine regions at the foot of Mont Blanc (Valle d’Aosta – Switzerland Romanda – Savoy). The village of Introd is known to be a place loved by the Popes. Here, two Popes have spent their holidays, alternating relaxing excursions in the mountains to intense moments of prayer, reading and reflection, favored by the quiet and the beauty of the place. 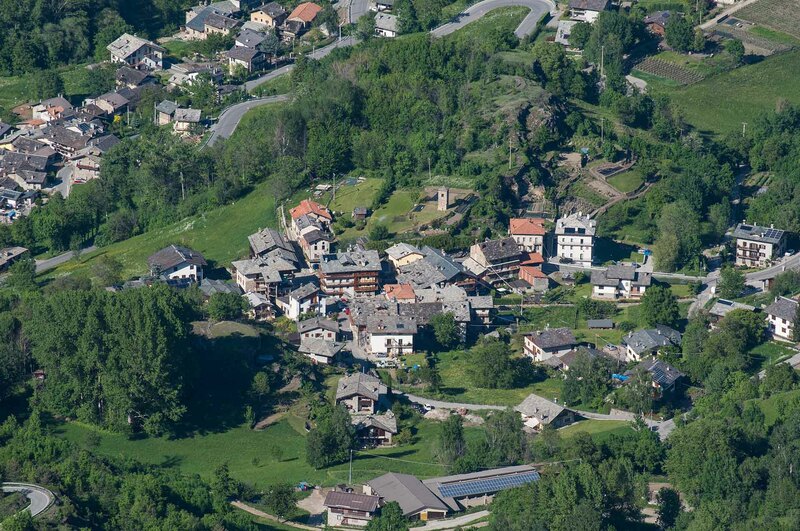 Ten times, from 1989 to 2004, the town of Les Combes hosted Pope Beato Giovanni Paolo II, and in the summer of 2009 Pope Benedict XVI returned for the third time, after the holidays of 2005 and 2006. Well preserved is the castle from the 1260, wanted by Pierre de Sarriod who took the title of Lord of Introd; near it is worth seeing the farmhouse Ola, an ancient rural construction in wood and masonry, from the sixteenth century. The parish church of San Paolo, built in 1500 but altered in later periods, has a true masterpiece of Baroque art in the carved wooden altar. 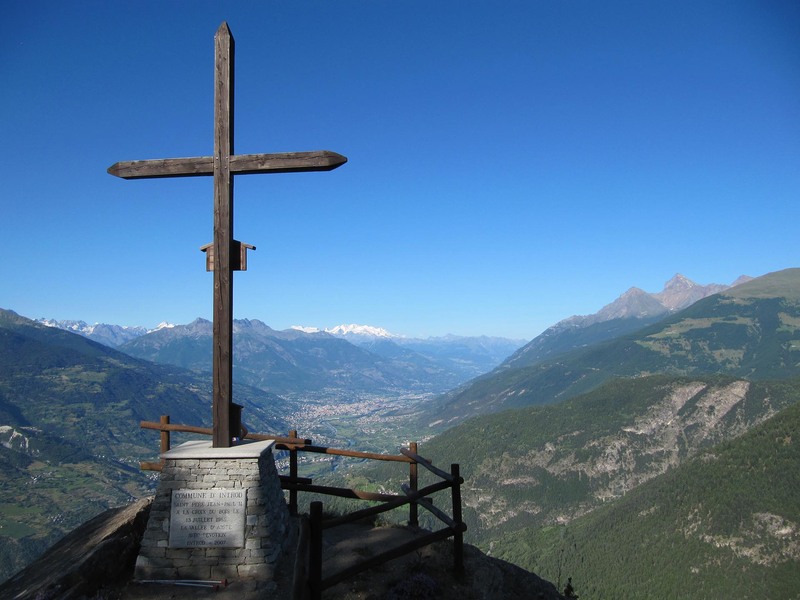 In Les Combes, (also reachable with a nice walk of about 1 h and 20 m with a vertical drop of 460 m.) There is a Museum dedicated to Pope Beato Giovanni Paolo II. 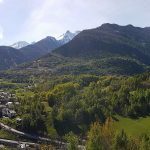 In the Villes-Dessus village you can visit the recent wildlife park (Parc Animalier) where you can admire typical Alpine animals inserted in their natural habitat. Do not miss the Maison Bruil, one of the greatest examples of Gran Paradiso’s rural architecture. Currently, the building houses a traditional food museum and the “Atelier du goût” laboratories. Further curiosity is the bridge, built during the First World War on a depth of more than eighty meters deep, a true architectural masterpiece, the highest bridge in the Valle d’Aosta. In July 2011, during the excavations planned for the extension of the local kindergarten, the well-preserved remains of a woman lived about 5,000 years ago were found, which received the temporary name of Lady of Introd; the age of the skeleton is comparable to that of the Man of Similaun.